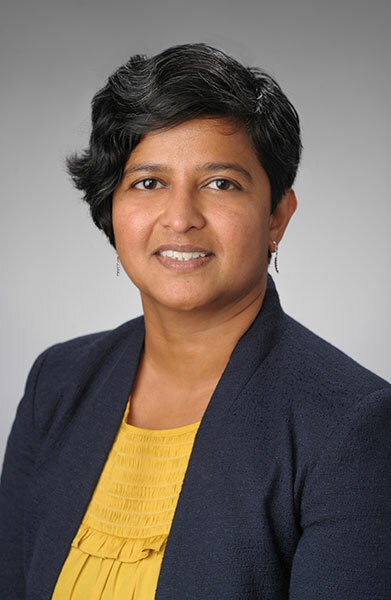 Rashmi Gangamma, PhD, LMFT is an Associate Professor in Marriage and Family Therapy. Dr. Gangamma’s scholarship and passion is in developing social-justice oriented approaches to mental health treatment with marginalized populations. Her recent work with resettled refugees in Syracuse highlights the importance of intentionally incorporating issues of power and oppression in the practice of family therapy. She collaborates with community organizations with a larger goal of reducing mental health disparities in resettled refugee and immigrant populations. She currently serves as a board member of Refugee and Immigrant Self-Empowerment (RISE), Syracuse, NY. Dr. Gangamma is also interested in contextual therapy theory development. She has conducted quantitative and qualitative studies with different populations using the theory to critically examine and expand its constructs. Her personal and professional experiences in the fields of social work in India and family therapy in the United States significantly inform her scholarship. Gangamma, R., & Shipman, D. (2018). Transnational intersectionality in family therapy with resettled refugees. Journal of marital and family therapy, 44(2), 206-219. Gangamma, R. (2018). A Phenomenological Study of Family Experiences of Resettled Iraqi Refugees. Journal of marital and family therapy, 44(2), 323-335. Gangamma, R., Bartle-Haring, S., & Hartwell, E., Holowacz, E., & Glebova, T. (2015) Depression, relational ethics, and relationship satisfaction in couples in therapy. Journal of Marital and Family Therapy, 41(3), 354-366. Gangamma, R, & Bartle-Haring, S., & Glebova, T (2012). A study of contextual therapy theory’s relational ethics in couples in therapy. Family Relations, 61, 825-835. Bonomi, A. E., Gangamma, R., Locke, C. R., Katafiasz, H., & Martin, D. (2011). “Meet me at the hill where we used to park”: Interpersonal processes associated with victim recantation. Social Science & Medicine, 73(7), 1054-1061. Gangamma, R. Glebova, T., & Coppola, J. (2016). Fairness in couples and families. Encyclopedia of couple and family therapy. Lebow, J, Chamber, A, and Bruenlin, C.D. (Eds.). Pp 1- 7.